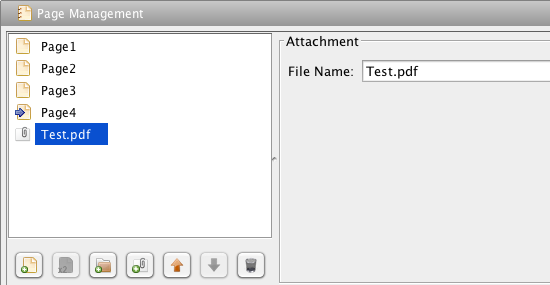 Since V4.0, ForeUI allows you to add any file into your plot, such as video, PDF document, and ZIP archive etc.. Once you add the file into your plot, it will be stored in your .4ui file and get extracted to output directory, when you export your plot to HTML5 simulation. The new “Add Attachment” button in the page management view is added for this purpose. Once you click this button, you will be asked to choose the file to add. Any type of file can be added, and there is no limitation on the files number. However, please keep in mind the files will be saved into your plot file (.4ui file). 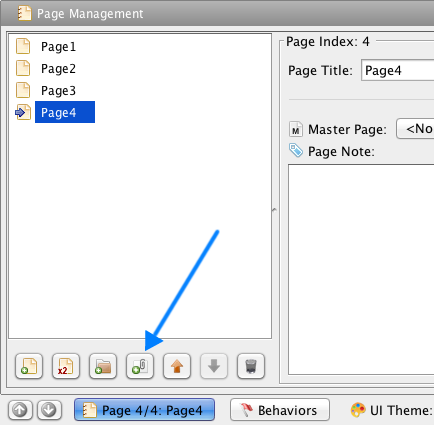 If you put too many files, or too big file into your plot, your .4ui file might become much bigger. After you add the file into your plot, you can still change its file name. The file name must be unique in the plot, since all attached files will be exported to the same directory. How to Access the Attached File in HTML5 Simulation? Once you run HTML5 simulation, or export your plot to HTML5 simulation, all attached files will be extracted to the “files” folder under the simulation directory. So it is possible to access them via relative URLs in the simulation. Of course you can link the file to any other elements with the same approach. This new feature is very useful, as it allows you to add any type of file into your plot (and HTML5 simulation). With this feature, you can let people to download video or document from your HTML5 simulation, without manually modifying anything in the code.